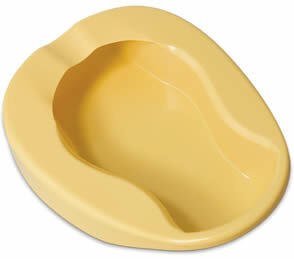 Patients who are not able to ambulate themselves often need a nurse aides help in assisting with the use of a bedpan. Their incapacity can be great enough to render it impossible for them to walk and use the toilet normally so it would need the help of a nursing assistant for them to do that. It is however, not encouraged in other cases where the patient has the capacity to go to the toilet even when they need minimal assistance in walking towards it. It requires a lot of careful attention to perform this job and so paying heed not just to your job but to your patient as well will be very important. As with other tasks, you will need to greet and introduce yourself to the resident after you entered the room. Make sure that you explain your task very well to the patient so that he would not be surprised when you start with the bedpan. Tell them exactly what you will be doing in each single step of the procedure and then ask them if you can pull the curtains down in order to provide them with some privacy. You always have to ask for their permission before doing anything in their room. After this, wash your hands according to standard procedure making sure that you do not touch the sink or any other unclean area after drying them off. You can now put on a fresh pair of gloves in order to assist the patient. Lower the resident’s bed so you can perform your duty better. Then, place or assist the patient to get into a supine position and then get him to lie on one of his sides. Place the bedpan against the patient’s rear and then tell them to get on a lying position again. Make sure that the bedpan would be between the patient’s legs and ask them to spread them apart in order to know if it is really in the middle. This will make it easier for them to use the bedpan and avoid any spillage. Raise the upper part of the bed, the one where their head is resting, so they can manage the process more easily. Step away from the patient to give them room for his privacy and make them feel more at ease. After this, remove your gloves and dispose of them accordingly. Wash your hands again and put on a new set of gloves. Go back to the patient and lower the bed so you can easily reach the bedpan. Do this carefully so as to avoid spillage of the contents of the bedpan. Ask the patient to turn to one side once again and then carefully remove the bedpan. Wash the patient’s genital area as well as the perineal area. Get them in a position where they will be most comfortable and give them some wet towel if they want to clean their hands. Measure and dispose the contents of the bedpan and clean it thoroughly also. Dispose your gloves and wash your hands again.